The writing is on the wall for the Oil and Gas Industry. Tesla is destroying performance records and setting new standards on automotive pre-orders. General Motors has released its first long-range EV to rave reviews, every major automotive manufacturer staked a claim to commit to building multiple new EVs, and VW quietly committed $2B to building out public charging infrastructure (thanks to Dieselgate). And as of today the UK, India, Frace, Norway, and China are putting in place an outright ban on gas and diesel powered vehicles, some as early as 2025. Despite rhetoric from that EVs are simply a fad, the wheels of change in the auto industry will not stop and that is very bad news for big oil. The start of oils demise came when Tesla started breaking consumer reports testing scores, garnering 400,000 reservations in less than a month, and scared the automotive giants into action. Now the age of EVs is upon us and there is little that can stop it. The dust has already settled the industry is moving forward. For all the bluster surrounding green tech and electric vehicles in general, the fact remains that people have seen a glimpse of the future and they're not likely to step back. 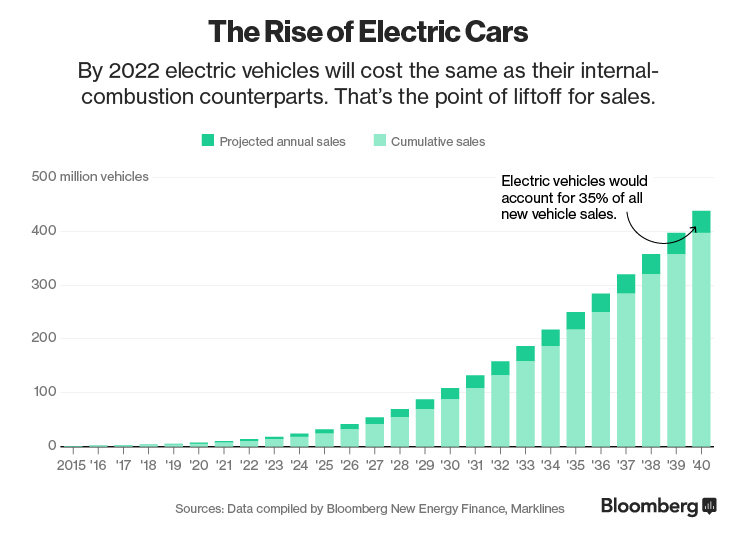 Simply put, EVs are cheaper to operate, more efficient, more powerful, and very soon less expensive to buy than gas-powered vehicles. If you were thinking EVs are reliant on government subsidies you should know, many automotive manufacturers are rapidly approaching the cut-off, meaning they have already sold so many EVs or Plug-in Hybrids they no longer qualify. The dust has already settled the industry is moving forward. The auto industry is a massive beast and once it has been ramped up it's very hard to slow down. These new worldwide government changes only strengthen the electric vehicle stronghold. The fact is many manufacturers have already gone too far to turn back now and these new government initiatives push that resolve even further. However that's not the only nail in the oil industries coffin, the global economy makes it nearly impossible to stop EVs. Electric vehicles have had a long hard road and it wasn't until this decade that they saw any real movement. However, much like a Tesla's 0-60 time, they have gained momentum at a shocking pace. In 2012 Tesla began delivers on the Model S and ever since that day they have been gobbling up market share and now sit in pole position to completely change the world automotive market again with the Model 3. That success has not gone unnoticed and has now pushed most major automotive manufacturers into the fray. Some brands have simply made the decision to begin to phase out their existing gas-powered vehicles others have announced multiple new EV lines and then there are the many start companies trying to replicate the success of Tesla. 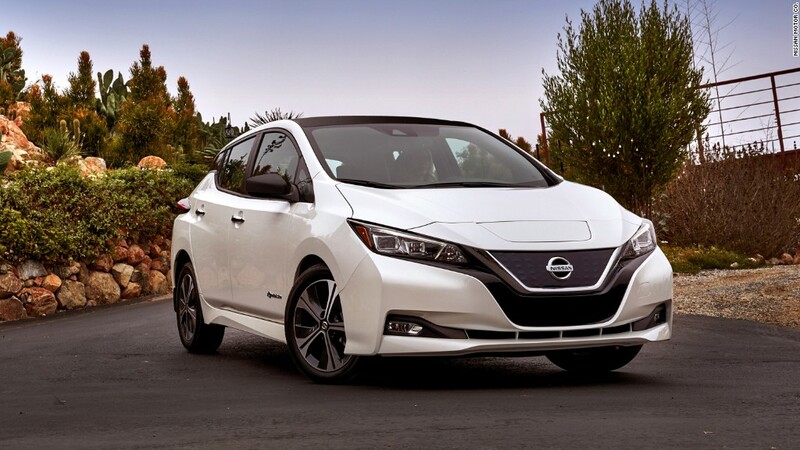 While these plans are still developing they do paint an important picture, EVs are being taken very seriously by the automotive industry and there isn't much that can slow there progress down. For a century the United States was far and away the world's largest automotive market and due to this most cars were built solely to satisfy the wants and needs of Americans. For better or worse, those days are done. Yes the US is still a major auto market, its still the second largest in the world and that most likely won't change for some time, but China has quickly become the driving force in the automotive world. China's rapidly growing middle-class has a growing love affair with automobiles. That combined with dangerous levels of airborne pollution have made electric vehicles essential and forced the government to push automakers toward an electric future. With the world's largest auto market making an abrupt turnaround, automotive manufacturers don't have much choice but produce EVs. Furthermore, Europe has faced high gasoline prices for decades and with electric vehicles proving their worth has triggered many countries to outright ban gasoline-powered auto sales in the near future. These two regions account for more than half of the world automotive market, and if both are making strong moves toward electrics the US will soon be forced to follow suit. The automotive industry cannot rely on one region to dictate the industry as in years past, the world is simply bigger than that now. Oil and gas had their heyday but now electrics are taking over and there isn't much that is going to stop it.